Summer is when a man’s thoughts turn to, among other things, cars. There’s no better place to experience the thrill of the automobile this summer than at the Manila International Auto Show (MIAS). 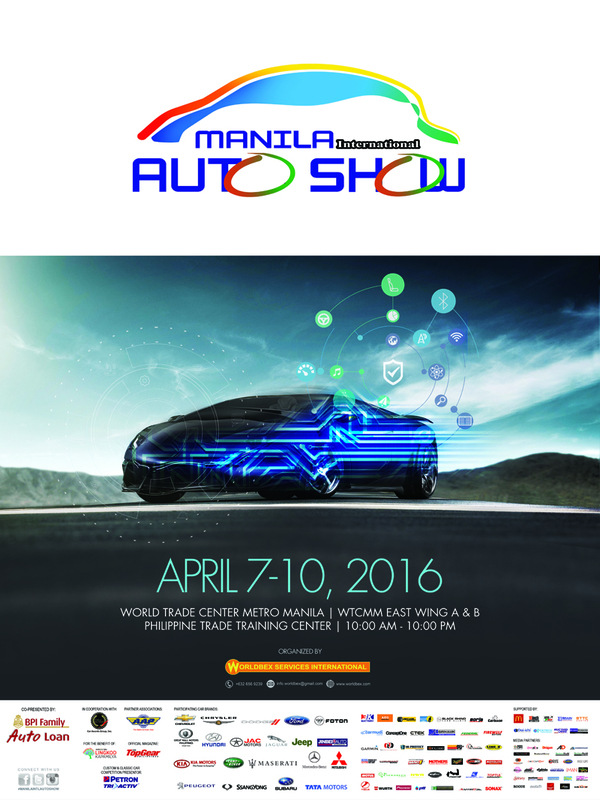 The annual expo of all things automotive is open from April 7 to 10, 2016, at the World Trade Center in Pasay City. MIAS stretches over 20,000 square meters of indoor exhibition areas. At the Main Hall of the World Trade Center will be new model offerings from the major automotive brands. Buyers can check out vehicles from entry-level hatchbacks to luxury SUVs. MIAS extends over four indoor arenas, stretching from the Main Hall of the World Trade Center to two customized tent areas, and the Philippine Trade Training Center. There will also be outdoor exhibition areas, where Guinness World Record holder and precision driver Russ Swift will be doing the world’s fastest parking maneuvers. Tough and agile SUVs will be proving their capabilities on two custom-made off-road tracks on the MIAS front lawn area. Test drives, both on and off-road, will be taking off at the MIAS grounds. For dressing up your rides, MIAS will have two aftermarket tents that will display accessories and equipment. Everything from wheels and tires to audio units to car care kit will be on display and on sale. The Philippine Trade Training Center will be the home of the MIAS Custom and Classic Car Competition. Restored and customized cars will be here in their gleaming glory. From meticulously restored classics to outrageously customized sports cars, they will be at MIAS. This year’s MIAS theme is Smart Mobility. This will highlight the technological capabilities of today’s new models. From cars that can steer themselves into a parking space, to vehicles with interactive cruise control, MIAS exhibitors will be demonstrating ways in which smarter automobiles are safer and more fun to drive. As for the other subjects of a man’s thoughts, they will be there, too. Who says fantasies don’t come true?